A well thought out shareholders agreement will provide you with the ability to quell any issues before they even arise. Read more here! So you want to start a business. Maybe even with your family or friends. And it's all going great until it's time to write the shareholders agreement. And suddenly, things come to a screeching halt, long before your business ever made it off the ground. Out of all the new businesses founded every year, 8 out of 10 will fail. Don't be part of the eight. A shareholders agreement is central to your business success. Keep reading to find out what it is and how to craft a good one. Let's start with the most basic question: what is it? A shareholders agreement is an agreement between shareholders (thus the creative title). Think of it as a mutual decision about how the company should be operated and the rights and obligations of shareholders to the company. The agreement is created for the good of the shareholders and the good of the company. This is why it's so important for you not to skip this step when it's time to bring your company to the big kid table. We said that the agreement is for the good of the shareholders and the company, right? It's always useful to remember that a shareholders agreement is a binding contractual arrangement because it helps you to remember what the agreement is good for. The agreement outlines the rights of shareholders within the company to ensure that they can't be subject to unfair treatment. It also covers the fair pricing of shares, especially when those shares are sold. In many cases, it also grants shareholders the right to make decisions about future parties becoming shareholders. By and large, the goal is to make sure that shareholders remain active in running the company. That's for the shareholders. For the company, it's equally useful to outline these items early on because it helps you prevent legal disputes later on if a shareholder wants to sell, if the company is doing particularly badly, or even if the company is doing particularly well. But before we dive into writing a shareholders agreement, let's make sure you don't confuse it with your articles of incorporation or bylaws. Your articles of incorporation, or bylaws, are what make sure that your corporation abides by certain laws. They're the rulebook for making sure you follow the rulebook. For example, the corporate bylaws will often state when a shareholders' meeting will take place. The key difference between the two is that articles of incorporation have to do with the company as a whole. A shareholders agreement specifically covers the relationship of shareholders to the company - it will even cover what happens if the agreement and the articles of incorporation are in conflict. Basically, they're two different ways to keep everyone, including the law, happy. And now, for the down and dirty: how to write your shareholders agreement. It's a process, and not one to rush through. You want to make sure you cover everything that's most important for your company's situation and make sure you cover all the rights and responsibilities most important for your shareholders. But before you ever start considering the actual wording of your agreement, there are a few key principles to keep in mind. The first is the golden rule. Plan for the worst, and you have the best chance of success. Well, think of it this way. Your shareholders agreement is designed to make sure that the rights of your shareholders are protected, right? Especially in the event of disagreements, or if someone wants out. So if you think about it, writing your agreement to cover all of the worst-case scenarios is actually the best way to make sure those worst-case scenarios go smoothly. Because you've already written into the design of the company how those scenarios should be handled and what everyone's rights are. It's also a way of planning for the worst-case scenario in the best-case situations (huh?) Think of it this way: when things start to go well for your company, everyone starts clamoring for the top spot. A well-drafted agreement will ensure that this clamoring doesn't get out of hand and that it won't inhibit your company's operations. So when you sit down to write your shareholders agreement, it's important to keep a few key factors in the front of your mind. Above all, you should think of your agreement as a relationship management tool. Sort of like the operating manual for your dishwasher. It's also a relationship planning tool - if this happens, then how will the company's relationship to its shareholders change? In other words: what if this happened, what's the chance this will happen, and how important is it that we consider this situation happening? These considerations will vary from one company to another, so it's important to know where your company is right now, where you want to go in the future, and what role you want your shareholders to have in that process. Now, for a concrete shareholders agreement, there are several elements that should be on-paper considerations for your company. Some of these have to do with the early days of your company, while others have to do with the future potential for shareholders leaving. Remember: a good agreement should serve you well for the whole lifespan of your company. You're not going to be a startup forever. So you want to make sure the agreement reflects both where you are now and where you're going to be down the line. Here are three crucial elements to consider adding - but bear in mind that this is not an exhaustive list. This is a big one for startup companies. Think of it this way. In the beginning, you don't have a lot of capital. Limited funds are available to pay salaries. So instead, you offer shares to co-founders and key staffers who provide "sweat equity". When you do it right, this can be a major incentive to keep shareholders committed to growing your business. But your agreement also has to deal with the flipside - what happens when relationships sour and people are terminated. Without the proper legal agreement in place before this event, you can be stuck with minority shareholders who are freeloaders on the hard work of other shareholders. A way for an agreement to solve this problem is through share vesting. Here's how it works: under vesting clauses, a shareholder cannot reap the benefits of their shares or a predetermined percentage of their shares unless certain conditions within the agreement have been satisfied. If the conditions aren't met, the company retains the right to repurchase the shares, thus resolving the problem of freeloading minority shareholders. Think of it as the "responsibilities" section. This can also cover what happens if the company is acquired or control of the company changes before all shares are vested. In this case, these clauses often allow for an acceleration of vesting when the change occurs. Now for the less fun scenario: the many varieties of leaver clauses, better known as the clauses that make everything less painful for a shareholder who decides to exit the company. In these clauses, there are usually "good leavers" and "bad leavers". As you might guess, there are different provisions based on the situation of leaving. A bad leaver clause is what takes effect if a shareholder is terminated due to a breach of contract, misconduct or before reaching a milestone. This clause forces the shareholder to transfer those shares back to the company either for the price paid for them or market value, whichever is lower. Thus solving the freeloader problem again. A good leaver clause is for when things are a bit more friendly - typically when the shareholder is terminated through no fault of their own or after reaching a predetermined milestone. In this case, one of two things will happen: the shareholder will either have to sell their shares back to the company, or they may be allowed to retain their shares. A shareholders agreement is just one small way to help your business succeed. But it isn't exhaustive, and you're not the only one who might need help making sure everything is properly ironed out. 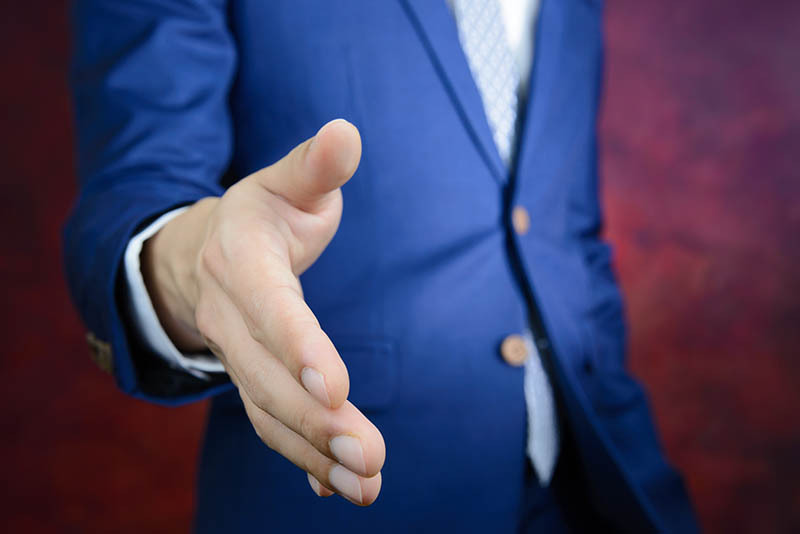 Verhaeghe Law Office offers a variety of corporate legal services for whatever your situation may be, whether you're just getting started or trying to resolve a legal issue with an employee or shareholder. For a look at some of our online legal resources, click here. But if you're needing legal advice on the ground, nothing beats a lawyer with experience and expertise. Use our contact page to get in touch with one of our attorneys. This entry was posted in Shareholders Agreement by verhaeghelaw. Bookmark the permalink.